Somerman has served as Director of NIDCR since August 2011. Previously Somerman served as Dean of the University of Washington School of Dentistry for nine years. 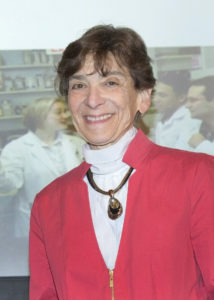 Dr. Somerman also serves as an Adjunct Investigator in the Laboratory of Oral Connective Tissue Biology, where she researches the development, maintenance, and regeneration of dental, oral, and craniofacial tissues. NIDCR is the leading supporter of dental, oral, and craniofacial research in the United States, with an annual budget of over $400 million. NIDCR supports basic, translational, and clinical research, as well as research training and career development programs. This year’s Science Day opens with two poster viewing sessions. Dr. Somerman’s keynote then follows lunch. Before noon, attendees can also visit the annual Vendor Fair. Science Day activities including Vendor Fair will be held in the Hiebert Lounge in the BU School of Medicine (BUSM) Instructional Building. The oral presentations will be held the following day, March 16, from 9 a.m. to noon in the Instructional Building, L106/109.